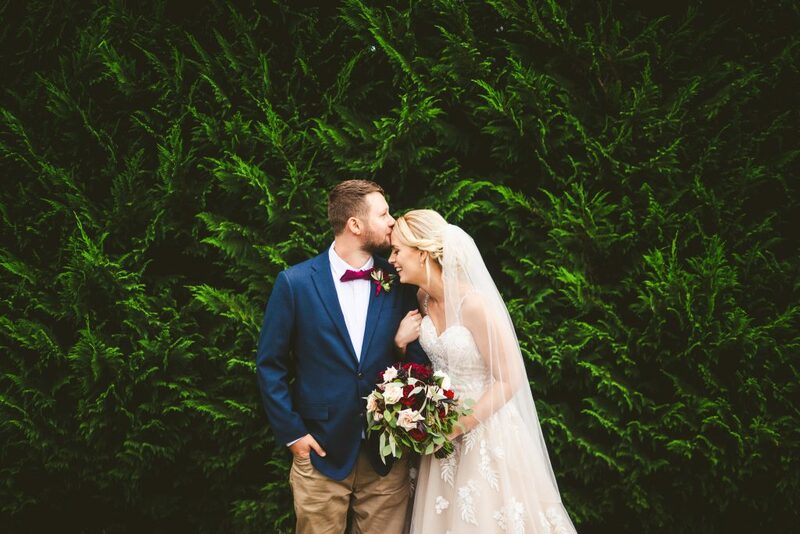 This gorgeously intimate Tablelands wedding was a special one. I love a smaller soiree…a collection of your nearest and dearest coming together to celebrate your new union and The Tinaroo Lakes Resort never disappoints! The ceremony area over looks the lake and it is a 30 second walk from your suite. 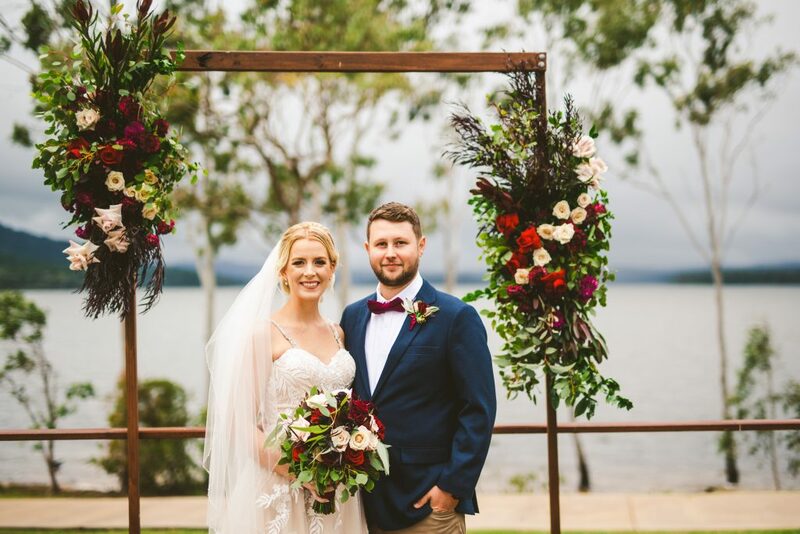 Simone + Jake chose a warm wood arbour for their ceremony with deep and moody florals… having an arbour on this stage is perfect to frame you guys as you stand in front of your people! 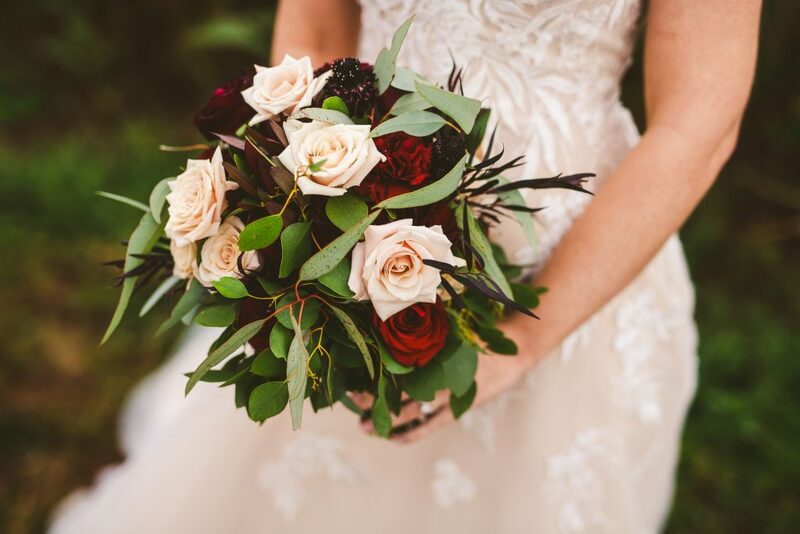 Roses, native Leucs, Scabiosa, Carnations, black textural foliage and a whole lotta gum foliage was used to bring it all together. What’s even better is that these florals were then reused on the reception table afterwards, surrounded by candlelight. I’m a huge advocate for recycling your florals to get the most out of them, so I will always suggest this where I can. 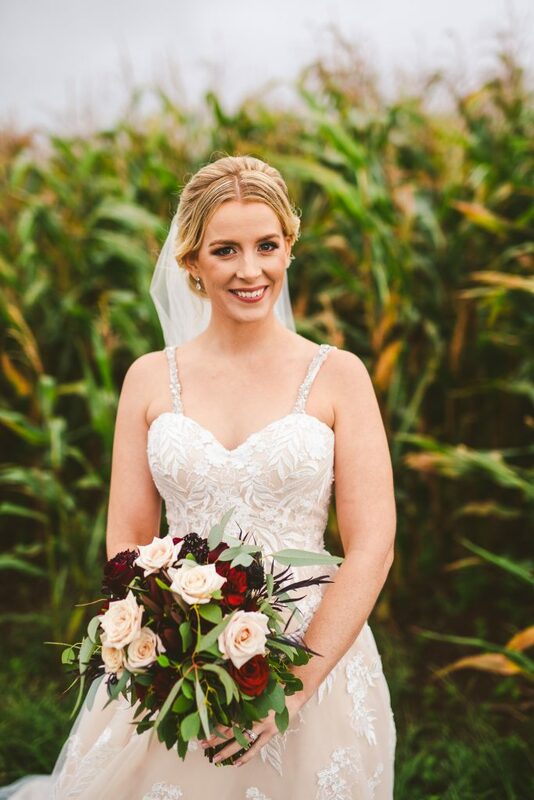 Rich cream roses where used to complement that gorg colour of her dress, (my fave ever type of rose) a deeper burgundy cos it always looks great, and green gum foliages again to complement the motif on her dress but also the surrounding gum trees, Its so stunning that spot on the water. 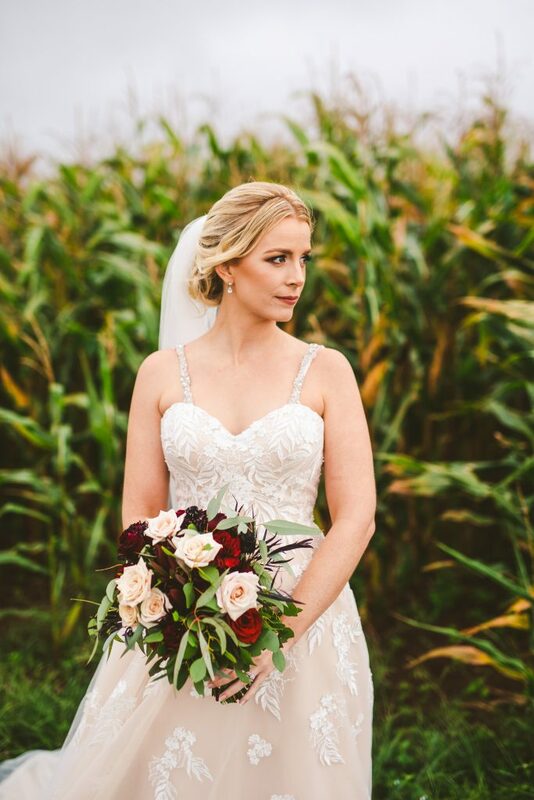 Simone was a beautiful girl to work with, her family were so warm and welcoming and even offered to assist with the set up and pack down….love families that want to pitch in and help!. Love also bumping into my peeps on the day also…Props to Ashlee Piper for the stunning hair + make up- those girls looked sensational. Images from the irrepressible Matthew Evans Photography and film work by Threadless Films. These guys are my long time faves. Here is the video from the day also. Soooo lovely! Here is an email that she sent the night of the wedding…you know you’ve done something well when you receive these words at the end of the night!